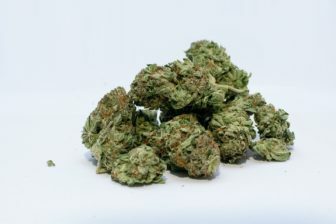 The legislature’s Judiciary Committee advanced a bill Monday that would legalize recreational pot and wipe clean the criminal records of people who have committed low-level drug offenses. A bill that would legalize recreational marijuana and erase the criminal records of people who have committed low-level drug offenses – the second piece in a package of cannabis-related legislation – cleared a key committee Monday over the objections of lawmakers who fear the change will make it easier for children to get the drug. Although the measure would ban the sale of marijuana to people younger than 21, several members of the legislature’s Judiciary Committee argued that legalizing it would make it more enticing and available to children. Rep. Richard Smith, R-Fairfield, called the bill “a major step backward” in shielding young people from drugs. Concerns that dominated the debate also included the potent effect of mixing marijuana with alcohol, the possible increase of people driving while high, and an expansion of the black market. A handful of Republicans said they would support one provision of the bill – the expungement of criminal records for low-level marijuana possession offenses – but not the drug’s legalization. They suggested that the expungement and the legalization should be two separate measures. But proponents said it was time to make legal a drug that for years has been commonplace in Connecticut. Rep. Maria Horn, D-Salisbury, said her support for the measure was inspired largely by the War on Drugs’ disparate impact on people of color. “Given the racial animus and racial impact of the enforcement and criminalization of cannabis in the past, that’s a factor that is hard for me to get around,” she said. The sharply divided committee ultimately approved the bill 21-19, with members voting mostly along party lines. Another measure that would lay the foundation for a marijuana industry in Connecticut by establishing a licensing process for growers, manufacturers and retailers of the drug cleared the General Law Committee last month. That bill also provides equity incentives for people in areas where high rates of pot-related arrests have occurred. Advantages include lower fees and priority in the application process. A proposal to tax marijuana is still being developed by lawmakers. Legislative leaders have said it would likely be similar to the effective 20 percent rate imposed in neighboring Massachusetts. The Bay State adopted a 17 percent levy on the drug – a 10.75 percent excise tax and a 6.25 percent sales tax. In addition, Massachusetts cities and towns can impose a 3 percent local surcharge. The Judiciary Committee on Monday also approved two other cannabis-related bills — one that would allow employers to restrict the types of job duties people could perform while under the influence of marijuana and another that would prohibit drivers and passengers from smoking marijuana in a vehicle. The second measure would authorize spending $500,000 for police to be trained as drug recognition experts. The committee unanimously supported a bill designed to close a loophole in the state’s anti-voyeurism statute. But Rep. Steve Stafstrom, D-Bridgeport, a co-chairman of the committee, said the state’s attorneys have reported “a number of instances” in which they could not charge someone with violating this statute because the action occurred in a public place. The so-called “upskirting” bill makes it clear that no photography or video recording of sensitive areas may occur “under or around a person’s clothing” – even in a public place.